I love experimenting with different types of veggie burgers – from bean burgers to quinoa to even broccoli burgers! – but I also love a good meat burger once in a while. While I can sometimes tolerate a beef burger, I MUCH prefer turkey burgers, which is a good thing as they’re also a much healthier choice! I’ve tried a lot of awesome turkey burger recipes in the past, like Thai peanut turkey burgers (which I really must make again) and BBQ pineapple burgers, but these apple ones might just be my new favourite! 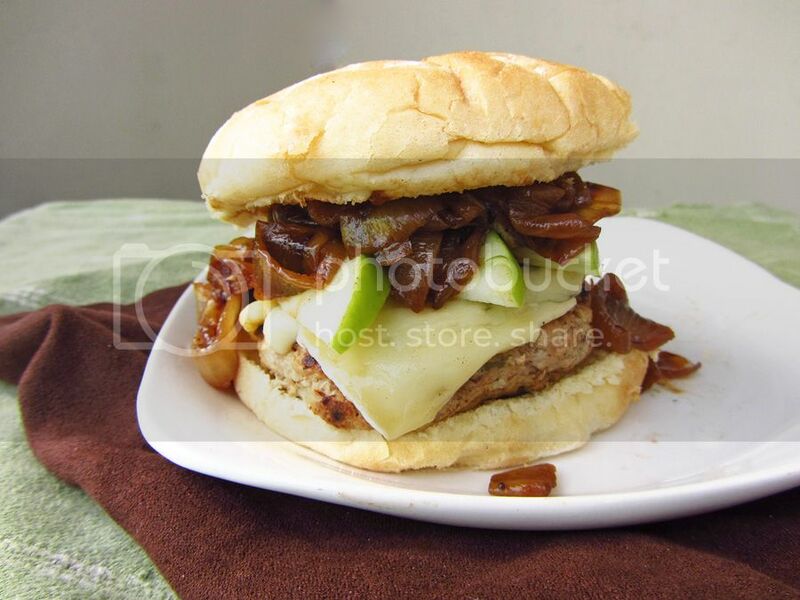 These burgers are extra juicy with the addition of grated apple in the patties, then get tons of flavour from the toppings: crunchy apples, melted brie, and caramelized onions. Each component works so well together to create a sophisticated but super easy burger – don’t leave any of the toppings out! The caramelized onions are the only time consuming part of this meal but they can easily be done in advance and reheated when it’s time to eat. And if you’re vegetarian, I think these would work really well as a chickpea burger too! What's your favourite type of burger? I'm just like you! I totally prefer a turkey burger and these are exactly what I like! I'd love some brie on my turkey burger. I've gotta give these a try asap! I never would have thought to grate apples into the burger! What a genius idea. And top that off with brie and caramelized onions? I'm sold, sold, sold! Thank you for sharing. This looks just delicious! I made something similar to these back when I still ate meat and loved the turkey/apple/brie combo! A definite winner. I should totally try them with chickpea burgers! Oh my gosh, I need to figure out a way to de-meatify this! :D I was thinking about trying to make a veggie burger made with pumpkin or butternut squash and I think it would be perfect with this. Yum! 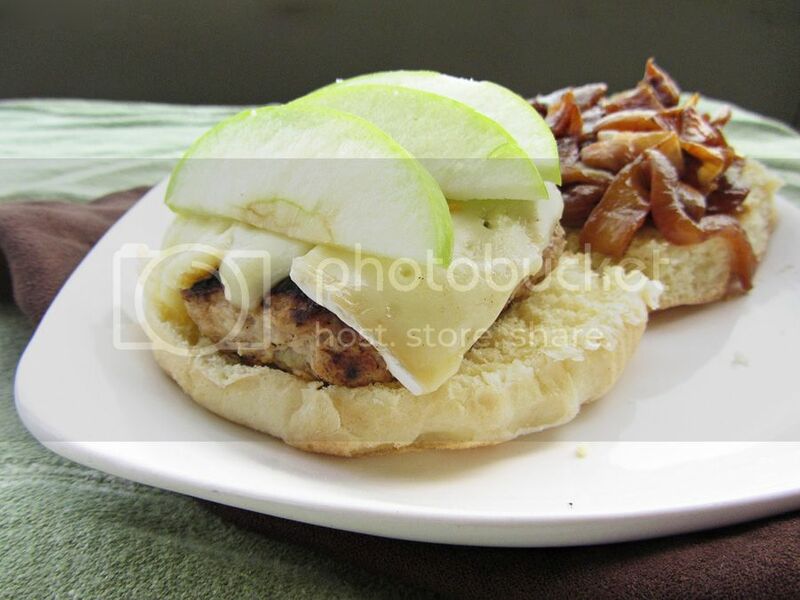 I still have to try some of the turkey burger recipes on your site, I've bookmarked a few! I can't take credit for the idea of grating the apples but it was a great idea!